If you have any questions about the Columbus Sport Hybrid 40M information page below please contact us. With launch in 2013, the magnificent Columbus Sport Hybrid 40M Yacht represents an Icon of style, elegance, as well as sophistication. 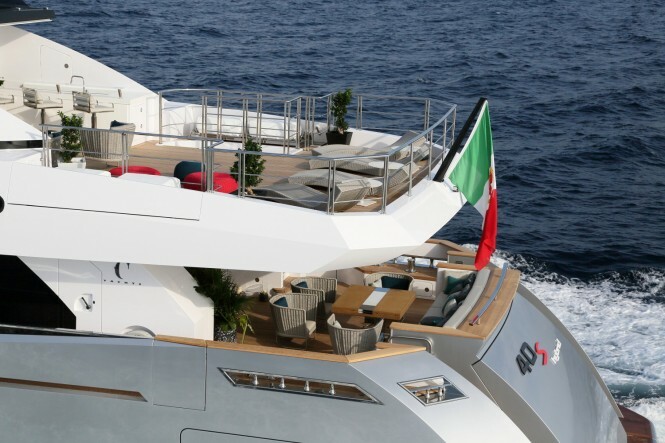 Specially designed by Hydro Tec to reduce pollution and fuel consumption, the 40-metre motor yacht Columbus Sport Hybrid 40M is a beautiful semi-displacement vessel, constructed by the respected Italian builder Palumbo Shipyard, with interior design by Hot Lab. 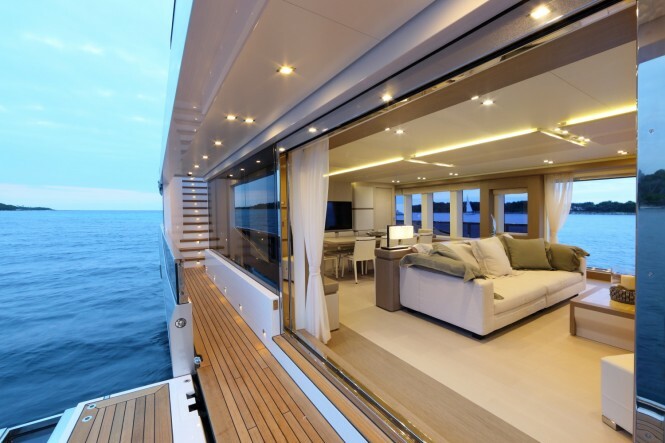 A total number of 8 guests can find utmost in luxury aboard 40 m superyacht Columbus Sport Hybrid 40M. There are 4 well appointed cabins, including the Owner's suite and 3 guest cabins. The interior shows a combination of “warm” materials with soft colours avoiding any strong contrast. The vessel's professional crew sleep in 3 crew cabins and one captain's cabin. Among special features of this lovely vessel belongs an amazing beach club on the stern. 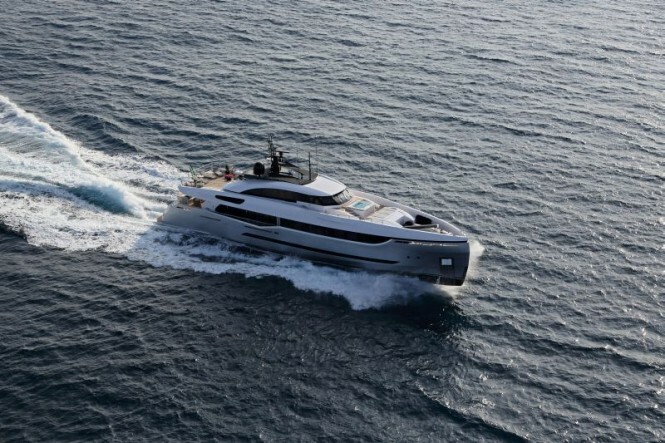 Built to comply to the IMO MARPOL regulations, the eco-friendly Columbus Sport Hybrid 40M yacht features a unique hybrid system that allows to have a slow navigation with main engines turned off and just two generators running. 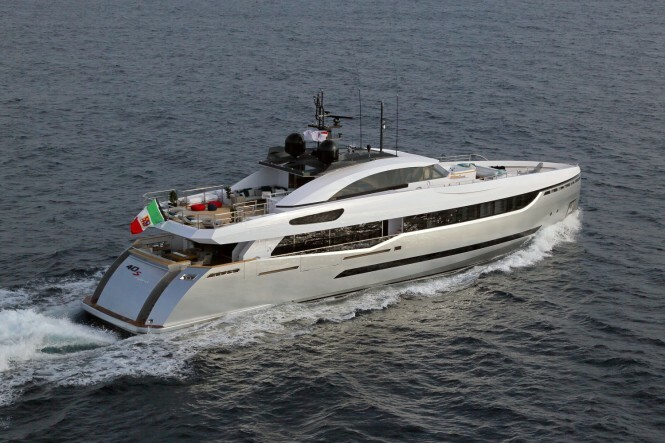 The vessel can reach a top speed of 22 knots and a comfortable cruising speed of 15 knots. 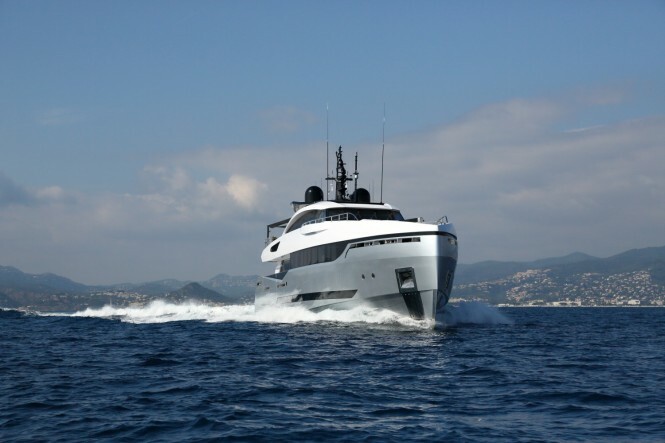 Columbus Sport Hybrid 40M features a beam of 8,2m (26'9'') and a maximum draft of 1,75m (5'74''). 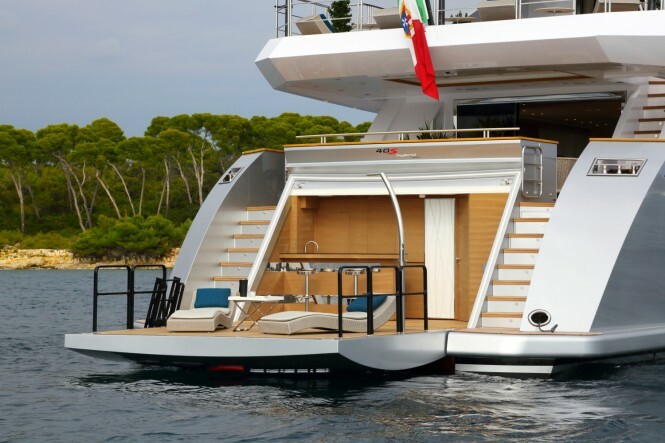 Columbus Sport Hybrid 40M Yacht can sleep up to 8 guests in maximum comfort and style. She boasts 4 lovely cabins, including the Owner's suite and 3 guest cabins. The vessel is managed by an impeccable crew, sleeping in 3 crew cabins and one captain's cabin. We do have available further amenity, owner and price information for the 40m (131') yacht Columbus Sport Hybrid 40M, so please enquire for more information. The luxury yacht Columbus Sport Hybrid 40M displayed on this page is merely informational and she is not necessarily available for yacht charter or for sale, nor is she represented or marketed in anyway by CharterWorld. This web page and the superyacht information contained herein is not contractual. All yacht specifications and informations are displayed in good faith but CharterWorld does not warrant or assume any legal liability or responsibility for the current accuracy, completeness, validity, or usefulness of any superyacht information and/or images displayed. All boat information is subject to change without prior notice and may not be current.